Do you want to know what it takes to start a small business? Are you interested in learning how to start a small business from scratch and be successful? Do you wish to start a small business with no money in Nigeria or elsewhere? Are you thinking of starting a small business in your locality or from home but you don’t know how to go about it? If your answer to any of the above question is YES then I will suggest you read on. Meanwhile, I advice you bring your pen and notebook close to yourself for noting down relevant information as you may likely need them later. In Africa and mostly in Nigeria, there are vast small businesses one can start with little or no capital. In most cases, it is not that there are no small business ideas to start but the problem lies on having the right information on how to start the small business. Many people would have like to start small business in their locality but how to go about is the problem. Unfortunately; the problem of unemployment, low paid monthly salaries, paid on commission problem, unfair treatment received from boss and so many other uncountable problems have continued to force people into looking for a way to start a small business to compliment their monthly income. In this article, I will be reviewing the right steps on how to start a profitable small business and be successful. In the end; I will discuss the best small business for beginners to start. However before I proceed, I want you to understand that these steps I will be discussing here can be apply to achieve success in small business anywhere in the world provided you don’t jump any of the step. Therefore whether you are in USA, UK, Ghana, Nigeria, Canada, South Africa, India etc; you will still find this information very useful. However, bear in mind that the socioeconomic situation of your locality, religion and culture may affect the capital required for starting the business. In addition that, I will suggest that you read these Top 10 Factors to Consider when Starting a Small Business. Without wasting time, let’s get down to business. Below are steps to start small business with little or no money and be successful. Your mindsets, business orientation and attitude towards work are crucial individual or personal factors that will to large extent determine the success of your business. So, how do you prepare your mind and boost your business orientation for this small business you are starting? Attend business seminars and workshops. Buy business book or Subscribe for eBook that discusses business ideas. Accept the reality that your business can fail tomorrow. Prepare your mind for risk taking and bearing capacity because doing business is risk. Prepare your mind to succeed despite all odds, disappointment, competition, and loss. It should be something you have knowledge on how to do. It should be something you will like to do and wouldn’t mind doing it every day. It should be something you can raise sufficient funds to get the business started and keep it running until the business start to pay off in spades. It should be a business idea that will earn you passive income. If you haven’t yet found any ideas, perhaps you can spot one or more of such business ideas based on the criteria above in this list of small business ideas you can start with little or no money. Some of them can be started as home-based business, others can’t. Some may require you to be an expert in a particular task or industry while others are in fields that you can easily learn. Good business ideas alone cannot guarantee success in any business, but an average business idea backup with a good business fundamentals does wonders. All you need to do is to find a proven business line and then learn the fundamentals. Carrying out feasibility study of the small business you are starting involves getting to know the rudiments and fundamentals of the business. Before jumping into any business, try first to have a thorough understanding of the fundamental metrics of the business, every business has its own hidden secret and if you must succeed, you must find out such hidden secret. Understanding the market of the business you are going into will increase your chances of success. The best and correct way of doing this is by asking these simple questions. Who are my customer or target audience? How would they want to be served? Who are my major competitors? Who is the market leader? What are my chances of survival? A simple business plan is necessary for the success of any business. This is where must people get it wrong, operating without a business plan. You can capitalize on this and make it a competitive advantage. If you will like people to invest in your business, write a business plan that attracts investors to that business. Banks don’t lend money to businesses that are operated without business plan. Even if it is an informal one, write it! One page, two pages, whatever numbers of pages, write it!! Write it!!! 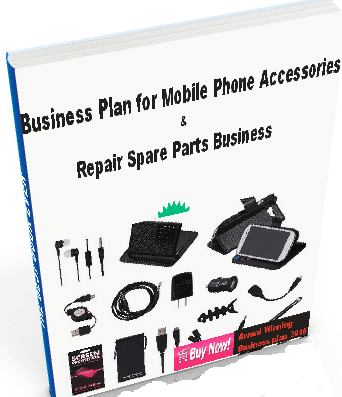 Though, one page business plan may not earn you bank loan but it is better than none. This is because it will you help concentrate on your goals and vision of the business. Find a good location to site your business. Are going to site your business on the outskirts of town or within the city? Are you going to separate yourself from the crowd? Wherever you will choose to site your business make sure you’re ready to face the challenges of the site. For more information on choosing a better business location for your business, here is how to find a good business location. Every industry has their regulatory and governing bodies. In your locality, check these governing bodies and the government operational policies to ensure that you are complying with them unless you want the government to be at your neck always. Factor the cost of the license, business permits in your budget. If you actually want to build your business and stand out of the crowd, you have to register your business name or factor it in your cost projection as a short term plan. There are options here; you can choose between sole proprietorship, limited liability or public limited liability type of business entity. Get the business name registered. For example; those in Nigeria can register on Corporate Affair commission portal (CAC) online. Those in Malaysia can register their business name at the Companies Commission of Malaysia (SSM). So, find the commission in charge of business name registration in your country. You need capital to start your business. So, I assumed that you have the necessary capital to at least launch the business while you raise and save financial backup. If you are thinking of ways to raise funds for your business then you can follow these 10 ways to raise funds for your business. The last but the least is to get your business started. Most people have wonderful business ideas; they make a good business plan, do all necessary feasibility study and even raise enough capital to start a business but they fail to start the business. Maybe they are afraid of facing failure but I do know that failure is only an option in any business. Many people only dream of starting a business and they lack the gut to start. Doing business is a risk. Are you willing to take the risk and start your own small business and be successful? My interest is to see you succeed in this your new business venture. Now that you are ready to start a small business, are they really best small business for beginners to start. There is no need pondering on the best small business to start. It is clear you understand that there is nothing like best small business for beginners. So, why not stop looking for best small business ideas. You should rather consider concentrating your strength on one business you have passion for and you can do well on. I have listed out above five criteria for choosing a good business idea; apply those criteria when searching for a small business to start as a beginner. Starting any business is not chickenfeed but by following the instructions and steps above without jumping any, I am sure that your chances of success will be high. Therefore, you can start a small business and be successful if you strictly apply those steps above. Thanks very much admin. I am a building contractor, specializes in production and installations of interlocking paving stones as well as tiling. My vision is having a space to be producing interlocks in a new sites area, to have an office there to attend to customers and client and so on. But the issue is getting a space and also what to be selling along so as to be earning money. Kindly help me out. How may I be of help?